Today's supply chains are faced with an increasing number of distribution channels, a broader set of suppliers and ever decreasing product cycles. A new approach is required that delivers a step change in agility. 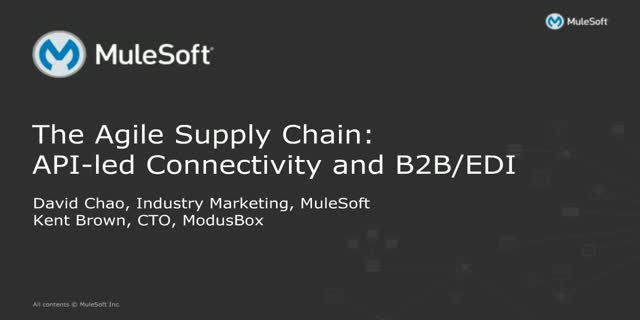 MuleSoft's API-led approach delivers up to 200% faster development cycles through leveraging re-usable assets. Join us for a walkthrough of this approach, including a demo of Anypoint Platform and Anypoint B2B.